Recently we mentioned that we would be taking a closer look at some of Casio’s wristwatch offerings. 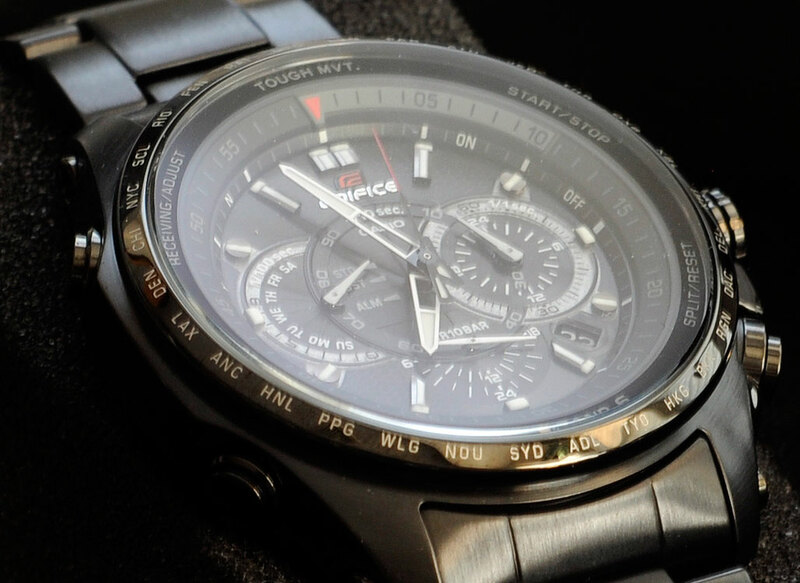 In June we had a FirstLook at the Casio EDIFICE EFR-516. Today we are going to take a FirstLook at the Casio EQW720DC-1A, which was released in the Spring and is one of the newer members of the EDIFICE line. With a $580 list price, the Casio EQW720DC-1A is positioned at the higher end of the EDIFICE line. However, not only are you not likely to find it discounted, you may have a hard time finding one at all. Many Casio dealers are finding it difficult to keep this watch in stock. If you want one, your best option is to either go to an online shop or get it directly from the Casio site. The reason for the watch’s popularity is that it is priced in the sweet spot ($400 to $600) for watch enthusiasts. Buyers in this range are not looking for diamond bezels, solid gold links, or hand-built mechanisms. They are interested in a great looking watch that is rugged and packed with state-of-the-art features. In order to control and operate a multi-function watch, designers have gone in two different directions. One path is to employ sophisticated integrated circuits and an LCD display. The other way is to use independent motors to drive individual dials and hands. The different approaches have their advantages and limitations. It is up to the designer to choose which approach to use in their pursuit to create something unique. With the EDIFICE EQWT720DC-1A, Casio has elected to go the independent-motor route. 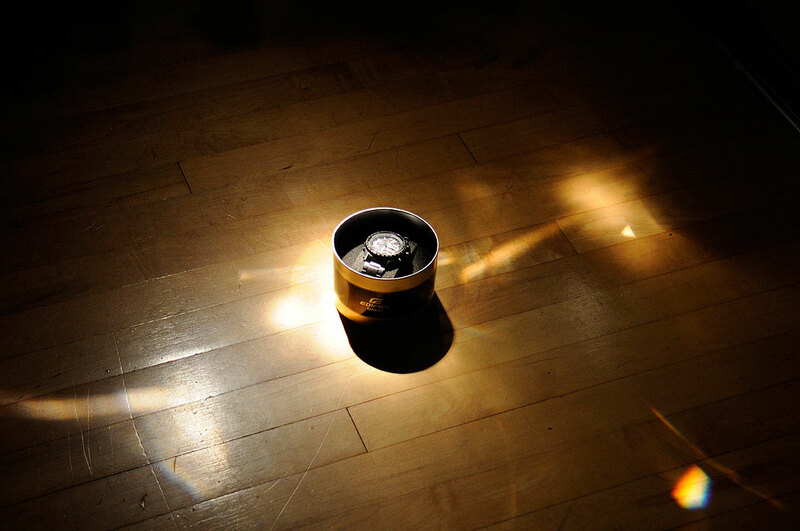 The EQWT720DC-1A employs five separate motors to drive the various hands on the face of the watch. The power for driving the motors comes from an internal battery which is rechargeable by solar or other light source (flourescent, incandescent, etc). By integrating the solar panels into the design of the face, they meld into the background instead of calling attention to themselves. Go ahead, see if you can tell where the cells are located. Setting the watch is actually unnecessary if you are in the regions of the world where it can receive time-calibration signals broadcast from atomic timekeeping stations. The watch is ready to go right out of the box as the battery is good for five months once charged. We left it in the sun just to top it off. We have had this watch for a week and have worked our way through its features. Many of the functions are fairly self-explanatory, but there were others which took us a while to figure out. The EQWT720 is undeniably an extremely sophisticated watch, which is why Casio would be better served if they put a bit more resources toward making the accompaning user’s guide and tip sheets easier to understand. We hope to have a full FirstUse write-up on the Casio EQWT720 by the end of the Summer.